Another fab day! We cannot believe the week is nearly over. 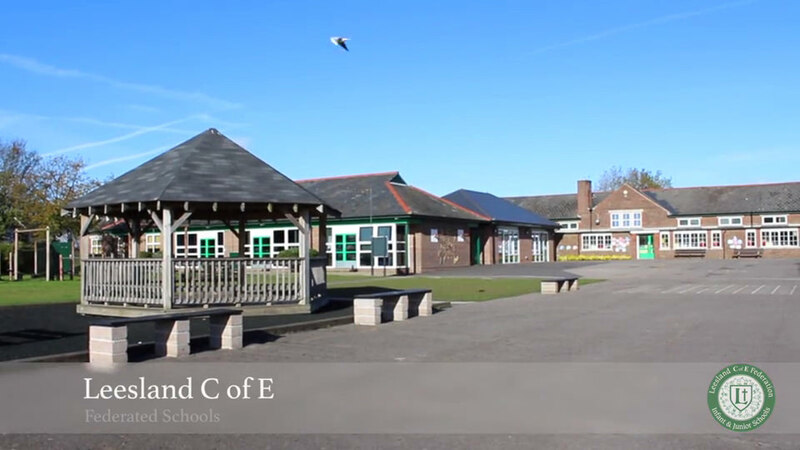 The centre is fantastic, our children are making us so proud and the adults who have given their time are just great. Mrs Pollard and Mrs Wake went on the giant swing together today, much to the delight of the children. Many children have once again stepped right out of their comfort zone and achieved things they really did not think possible. The quad bikes proved to be a real hit with all the children. Jacobs Ladder and the Zip Wire (which involves a long climb up a telegraph pole first) is proving to be far more challenging than the children envisioned and the tunnelling underground, which is a little like potholing is causing some trepidation. However Revd. Tim did actually complete the tunnelling - I think he was a little worried about getting stuck! The disco was superb, about 600 children in one hall, the PGL staff could not have organised this better. The children are now in bed and asleep and the adults are enjoying hot chocolate and biscuits. It will be sad to leave but we are all looking forward to returning to school / home and sharing our stories with friends and family. This is definitely a week to be remembered for every child here and the grown ups too. We have all had an awesome day . The children now know how to make fire from flint and steel which they loved, how to build a waterproof shelter and how to make dirty water clean. In other words they can survive in the wilderness! We seemed to have attracted a range of mascots: Billy Badger, Roger Rabbit and Bob the Seagull. The beach walk provided a calm interlude to the other heart pumping activities throughout the day and everyone counted the steps on the way back. In between times the children just seem to like rolling down the hill. More nocturnal activities with torches before bedtime, at which time we all explored the site in our teams to find photographed areas and the clues hidden there. Tomorrow, the children are looking forward to: quad bikes, giant swing and outdoor climbing. Weather is breezy but quite bright with sunny spells. 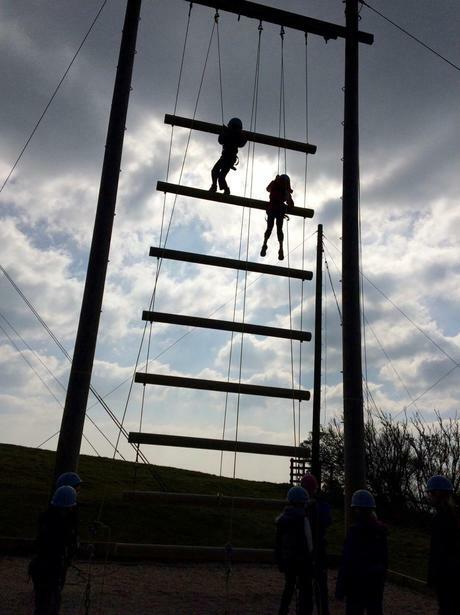 A few children really stepped out of their comfort zone today and overcame their fear of heights during the outdoor climbing and Jacobs Ladder. The Bay looked like something straight out of a pirate film last night with a full moon which turned the sea silver. We have had a great day here. It has been a fun-filled, action-packed day and we now have some very tired children! 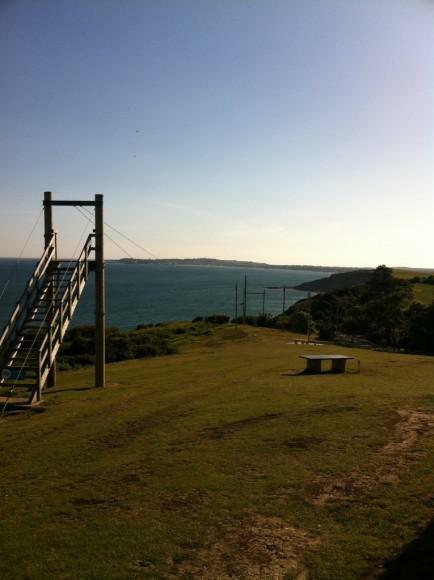 Tomorrow we are looking forward to the Zip Wire, Aeroball, the Beach Walk and Problem Solving. 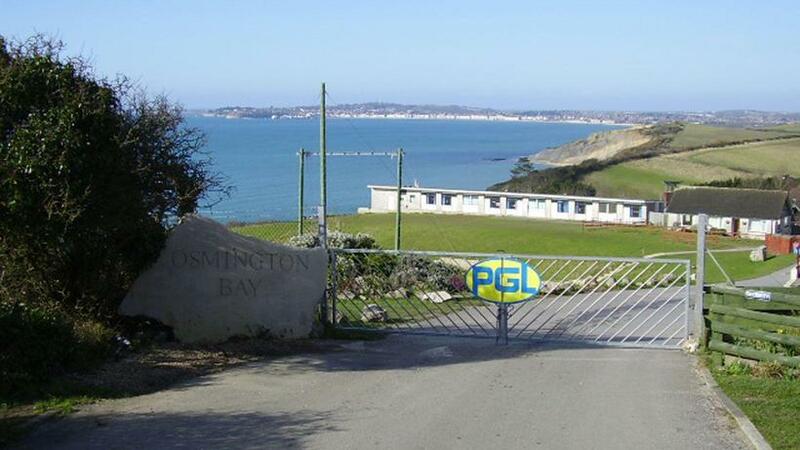 The children arrived at Osmington for lunch. After an exciting start exploring the site we met Brandon our team leader for the week. We enjoyed our first meal in the canteen followed by a team game of 'Around the World' which involved lots of running around in the dark with torches. Not sure who enjoyed it most the children or their team adults. Eventually, the children went to bed and after much giggling, lights out at about 10pm. 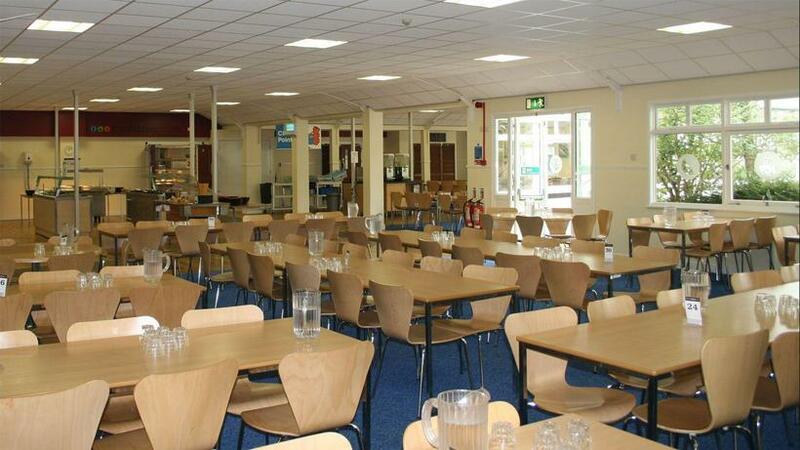 We are all looking forward to our first action packed day tomorrow: abseiling, orienteering, archery and Jacob's Ladder, punctuated with lots of great food in the canteen!